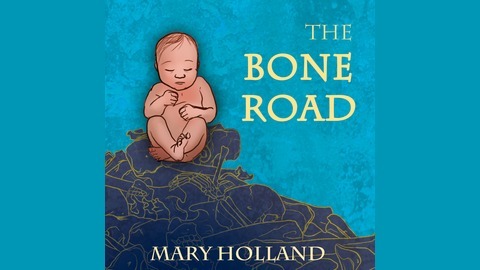 A divvy, a dying woman, and a promise Rhona has the divvy gift; with only a touch she can tell if a baby will be fertile or a sterile Shun, destined to be killed or outcast. The people of the Deom depend on the divvys for survival, but it is a hard and brutal gift. As long as Rhona’s mother was alive, Rhona had followed the old ways, but now her mother is dead and Rhona is free to live her own life. She has one last obligation to fulfill: honor her mother's dying wish to find a woman named Selina and offer her help. Rhona has no idea who Selina is, but the best way to find anyone on Deo is to travel the Bone Road, the trade highway paved with the remains of their ancestors. 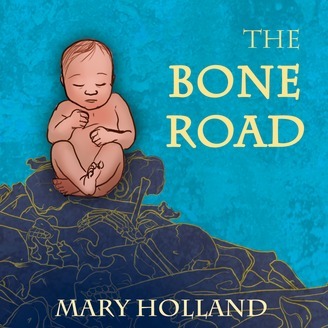 And follow it Rhona does, accompanied by her young son Jak, straight into a twisted conspiracy of vengeance, death, rebirth, and the mystery of the Riders, men who never die and are bent on closing the Bone Road forever.